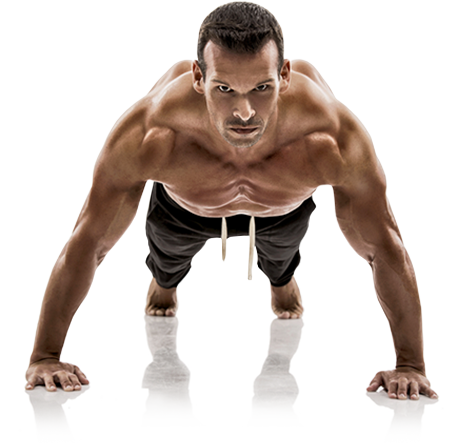 The V-Taper Solution is a fat loss and muscle building program designed exclusively for men. The program is 100% downloadable and fully compatible with your desktop or laptop computer as well as any mobile device, smart phone or tablet. The V-Taper Solution has been designed to ensure you have everything you need 24/7 and fits into your lifestyle as effortlessly as possible. The key to the V-Taper Solution is the unique 3 phase approach to effective fat loss and muscle building for men. Each phase is designed to put your body on a path to success using scientifically supported nutrition and lifestyle strategies that build from one phase to the next, which you can learn about in detail below. An increasing amount of research is pointing to the connection between the size of a man’s belly, his male hormones and his fat-burning metabolism. Even though every man's hormonal environment is unique to his body, creating a V-Taper, defined by developed shoulders and a lean waist, is quickly being recognized as perhaps one of the single most important factors responsible for maintaining healthy youthful male hormones at any age. The V-Taper solution proprietary software is designed to help optimize your natural hormone levels for the experience of an efficient, fat burning metabolism and improved energy levels. During phase 1 you will enter your body measurements into the software calculator which will tell you how much, when and what to eat. You’ll also be guided on how to workout all based on your current body composition. The innovative nutrition strategies you will have access to are supported by the latest scientific evidence available, and are designed to create a healthy, strong, fit and naturally energetic body based on the optimized balance and needs of your master male hormones. Phase 2 focuses on helping you lose belly fat and build muscle, and contains the powerful body transformation strategies that are unique to the V-Taper Solution. Balanced nutrition is the cornerstone of any effective weight loss plan, and the V-Taper solution provides specific guidelines on how, when and what to eat, including meal plans and recipe guides. Your nutrition plan is customized based on your current body shape, size, and fitness level. These custom nutrition guidelines are combined with a tailored exercise program designed to help optimize your body's natural ability to burn fat and build muscle. You will also have access to a comprehensive list of video coaching lessons designed to guide even the newest beginner performing exercises in the most effective and optimized form consistent with your current abilities. Phase 3 is characterized by advanced techniques in both nutrition and exercise that are designed to change as your body changes and build on the progress made in the initial phases of the program. You can leverage the experience of other V-Taper members in the exclusive members area to help further customize your program based on their experience and that of our V-Taper coaches. The techniques in each phase are designed to fit together and become a sustainable lifestyle approach to nutrition, health and fitness.